What type of in-ground swimming pool should I get? 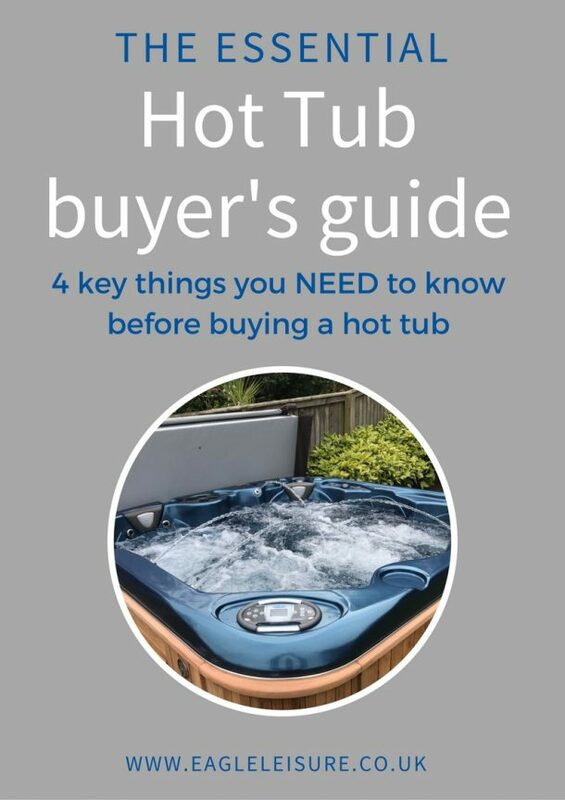 Deciding what kind of swimming pool you want is one of the first decisions you have to make. But, you might not even have realised there was more than one way to build a swimming pool. 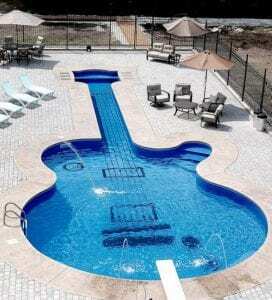 And the way you build your pool can impact the cost; design; maintenance and installation time. Swimming pool construction can be a big investment, both in terms of time and money, so you want to make sure that you are completely happy with your completed pool. This means knowing the advantages (and disadvantages) of each type of pool and choosing the one that best suits you. 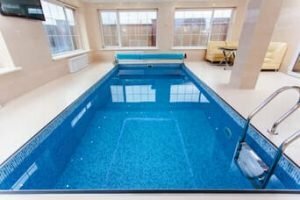 What are the options for in-ground swimming pool? Over this series we are going to look at the three main types of in-ground pool construction. Please note, we have not compared above ground liner pools. This post will look at the advantages and disadvantages of the one-piece pool. Read the others here. 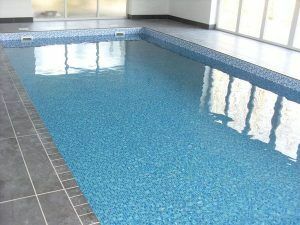 A liner pool uses a vinyl sheet, which forms a waterproof layer between the base and the water. The vinyl liner can be plain or patterned. The base can be built using steel panels or block-work. There are two main types of liner. Which one you go for will alter the price and the durability. 1. Single piece “bag” liner. The Single piece bag liner can be either plain or patterned. They come made to measure in one piece, and are usually 20 or 30 thou thickness. These are placed in the pool, and attached into the liner track. A vacuum pulls the air out, while filling the pool with water pushes it against the side and holds it into position. On site liners are generally thicker and more durable that bag liners. They are installed on site in sections. And welded using a heat gun into position, providing a strong and durable liner for the pool. Liner pools are becoming more popular. Due to their simple construction and the ability to make them look like a traditional high end concrete pool without the same price tag. However, like any pool construction they have advantages and disadvantages. What are the advantages to in-ground liner pools? There are a lot of advantages that make liner pools a great choice if you are thinking of installing a swimming pool. Overall, liner pools are fast to install. They main structure is usually built using block work or steel panels. Which, are fairly fast to put together. As the liner forms the protective, waterproof layer, there is not need to render or waterproof the structure. 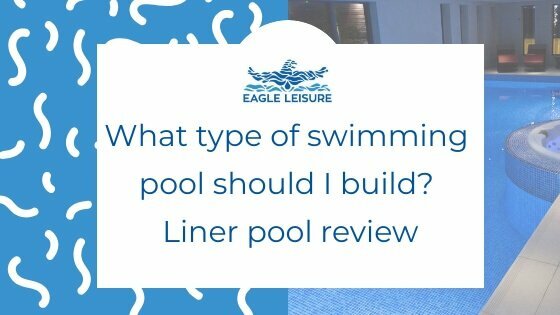 Once that is done, the liner installation usually takes a couple of days depending on the size of the pool. No pool is going to be cheap to install. But, a liner pool costs are in-line with a one-piece pool, and lower than a sprayed concrete pool. You can expect to pay anywhere between £70,000 to £105, 000 for an average liner pool. Whether it is indoor or outdoor will change the price. As well as the size, type of liner and customisation options that you choose. Unlike tiled pools, liner pools have a smooth surface. This limits the placed for algae to find a foothold and so reduces algae growth and potentially reduced the level of chemicals that will be needed. 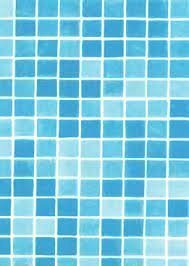 In addition, as there is no grout, it is less critical to control the calcium levels. And so in general, maintenance levels on liner pools are lower. What are the disadvantages to in-ground liner pools? As with everything, there are some disadvantages to liner pools. The main worry with liner pools, is that they are not as durable. The liner is made of vinyl. As so is not a hard surface level. Although there have been advancements in the liner technology and quality, you will have to be careful. Liner pools are not usually suitable if you have animals using it. And you need to be careful with vaccuum poles, toys and kids to make sure the liner is ripped. If it is, it can usually be repaired. But if not it will need to be replaced. The durability will largely depend on the quality of the liner, the thickness, whether it’s a bag liner or on-site fitted and the quality of the fit. Liners will generally need replaced at some point along the life of your pool. So over the lifetime, the costs for your swimming pool may be higher, especially if it is damaged. One-piece bag liners have a warranty of 5 years. Some on-site liners have up to 15 years. But the warranty is usually a pro-rata guarantee, which means you will not get the full cost covered if it is damaged. Liner replacements alone are approx. £4000 – £7000. Depending on the size, colour and style of liner you go for. So this needs to be factored into the cost when you are thinking of installing a liner pool. Traditionally liner pools were limited in by size, shape and design. However, with improvements in manufacturing, it is possible to fabricate complex shapes and sizes for a single piece liner. It is now possible to incorporate curves, steps, banks and ledges into liner design. This is expanding the possibilities for liner pools. The most intricate liner pool we’ve ever seen came from Aqua -Tech in Winnapeg who built a replica of a Les Paul guitar using a vinyl liner. If you have a one-piece bag liner in your pool, the the weight of the water is holing the line down. If you drain down the pool, then it is possible that the liner will lift out of position and this can be difficult if not impossible to fix. It is not usually recommended therefore that you do not remove water from liner pools if possible. Liner pools are a great option and are increasing in popularity. They do have a couple of draw backs which it’s worth considering as a liner pool might not be for you.